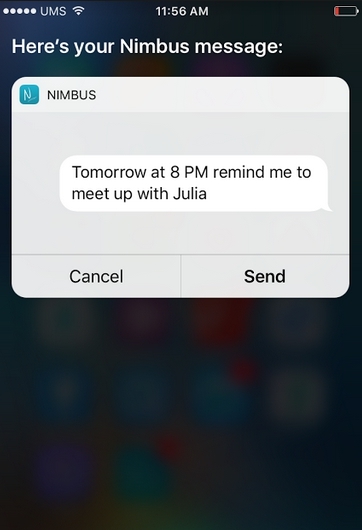 How to create a note/reminder using Siri? 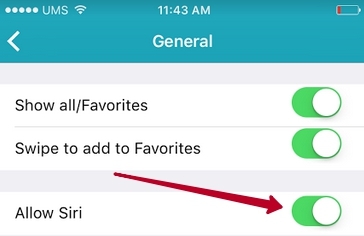 1) Allow using Nimbus Note in Siri in the Settings - General. 2) Summon Siri using a long tap on the Home button. 4) Voice-type the contents of your note or a reminder. For example, Alex's phone number 2259922 or Tomorrow at 8 p.m. remind me to meet up with Julia In the second case, a reminder will be created for 8 p.m. tomorrow.